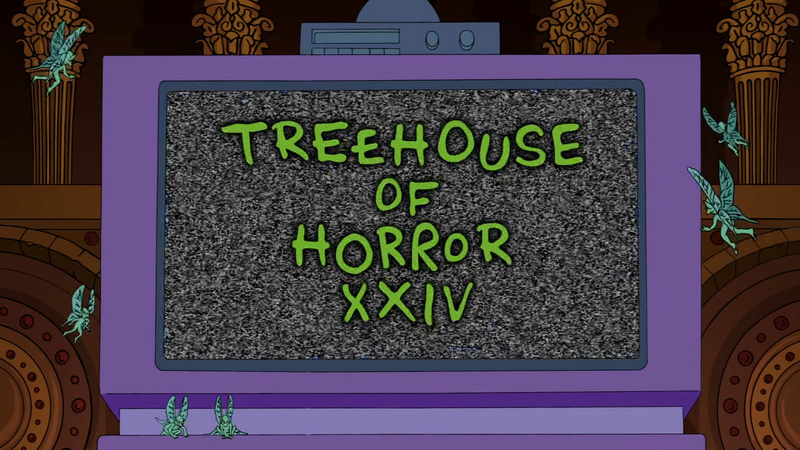 No new episodes from this season aired during February 2014 due to the transmission of the Super Bowl XLVIII, The 2014 Winter Olympic Games in Sochi, Russia, the 2014 Daytona 500 in Florida and the 86th Academy Awards. 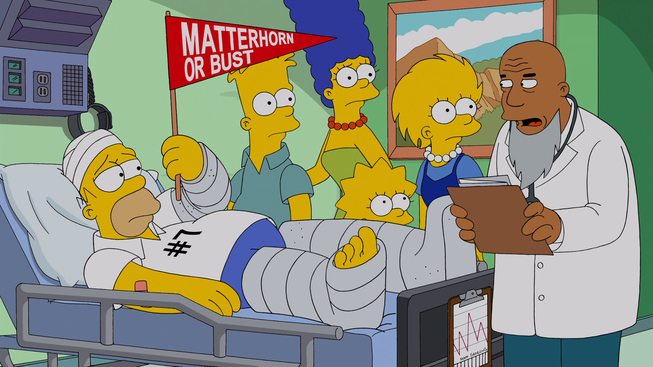 But the show returned on March 9, 2014. Homer starts to act strangely polite after returning from a nuclear power plant convention, prompting a suspicious Lisa to ask an intense FBI agent to help her solve this mystery. Guest starring Kristen Wiig as Annie Crawford and Kevin Michael Richardson as an FBI agent. “Oh The Places You’ll D’oh” is a spin on a “rhyming Dr. Seuss-ian tale.” But instead of “The Cat in The Hat,” Homer plays “The Fat in The Hat” and wreaks havoc on the poor town of Springfield. 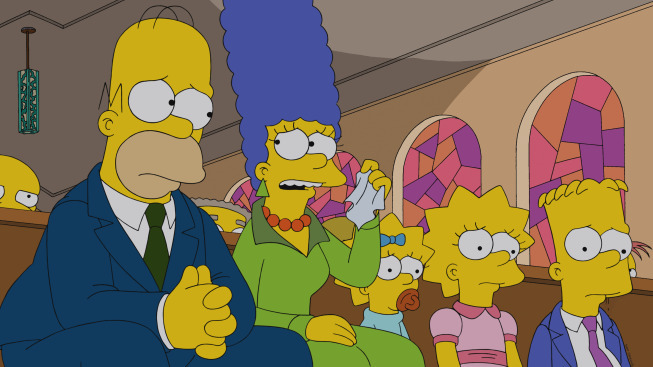 Four Springfielders are prompted to try to right past regrets following the funeral of a beloved neighbor. Homer regrets selling his Apple stock to buy a bowling ball, Marge worries she caused Bart’s rebellious streak, Mr. Burns reminisces about a romance he gave up with a beautiful Parisian woman and Kent Brockman admits he was too afraid to leave local news and follow his former partner Rachel Maddow (guest appearing as herself) to cable news. 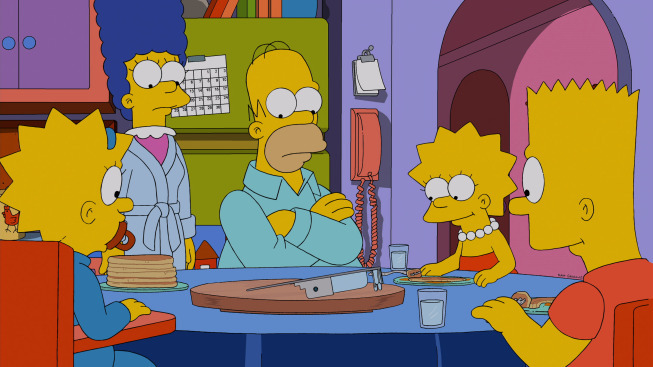 Marge encourages Homer to embrace his “You-Only-Live-Once” spirit by inviting an old pen pal to stay with him and cross items off of his "to-do" list from when he was a 10-year old. 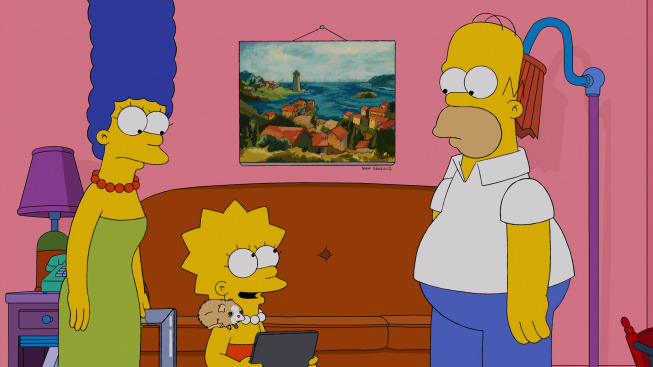 Meanwhile, Lisa institutes a new honor code at Springfield Elementary. 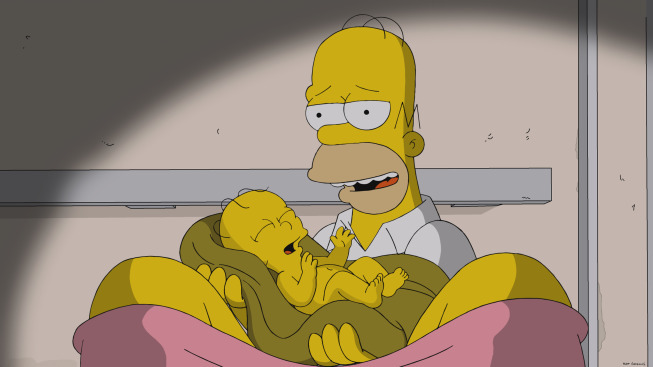 Gretchen, a woman stuck in an elevator, with Homer gives birth to a baby with Homer's help, which she names Homer, Jr. Lisa getting recruited as a cheerleader for the local pro football team. 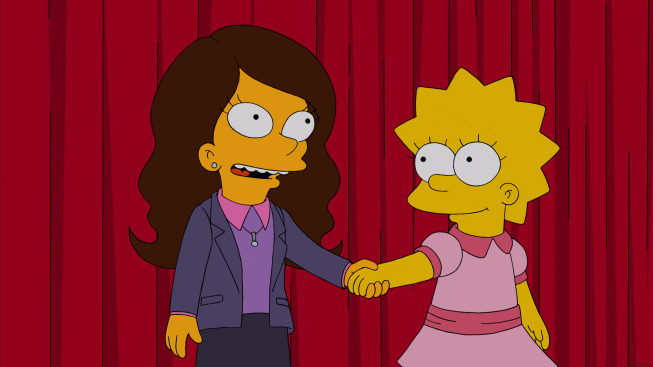 A new student comes to Springfield Elementary called Isabel Gutierrez, who is Lisa's intellectual equal. Lisa and Isabel become fast best friends but things take a left turn when they realize they have different political views - Isabel is a republican. They end up running against each other in the second-grade election, and then we flash to the future where they’re engaged in an actual presidential debate — and Anderson Cooper is the moderator. A radiation leak at the nuclear power plant causes a strange phenomenon that makes Springfield the only place with snow for the holidays. 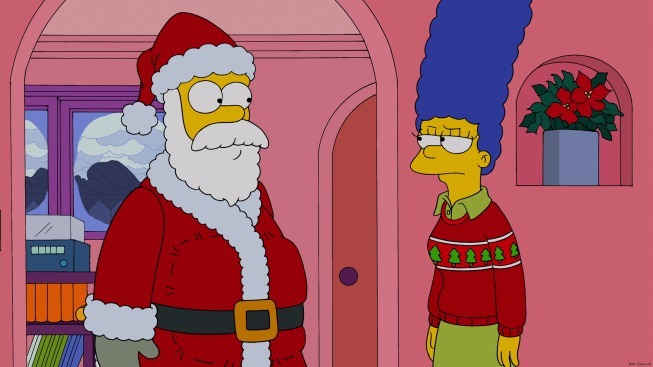 When tourists drive up Christmas shopping prices in Springfield, Marge decides to open up the Simpsons’ house to boarders. Deputy Director Gratman, the FBI's anti-piracy boss, is tasked with hunting down Homer, who stands accused of illegally downloading a movie. Fed up with movie theaters, Homer is taught by Bart how to illegally download films, and he starts screening them in his backyard for folks in Springfield. 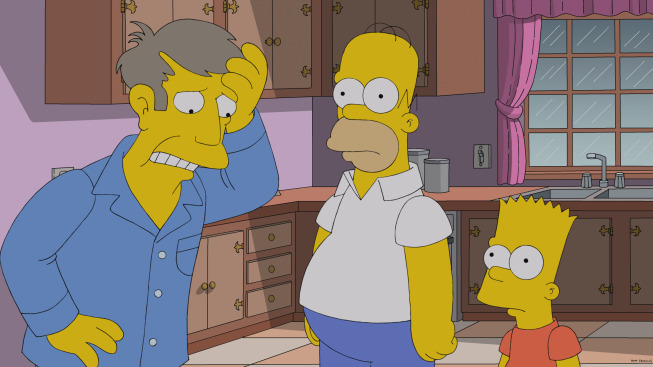 One of the movies that Homer shows is a This is 40-esque Apatow dramedy titled Life is Funny that stars Mann and Rudd. Halford winds up singing a parody of the Judas Priest classic "Breaking The Law" in an effort to nab Homer, while Apatow testifies against our patriarch "with a hilarious, self-important speech about Hollywood people". Guest starring Will Arnett as Deputy Director Gratman, Judd Apatow as himself, Leslie Mann as herself, Paul Rudd as himself, Seth Rogen as himself, Channing Tatum as himself, and Rob Halford as himself. 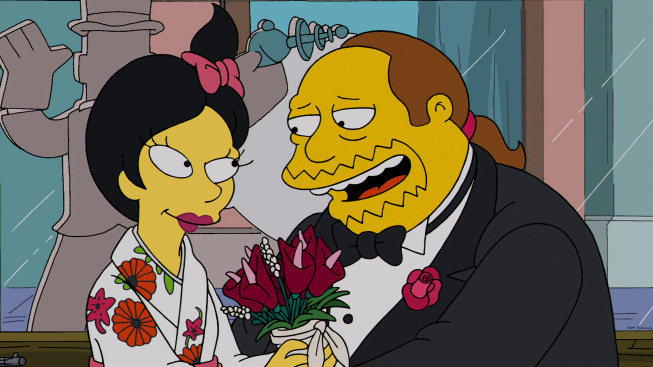 Homer stands to ruin a blossoming relationship between Comic Book Guy and an attractive young Japanese woman/manga fan and he getting married. Stan Lee swings by Comic Book Guy’s store and doles out some advice on comics, romance, and, yes, romance comics. Guest Voice Cast: Will Lyman as himself. 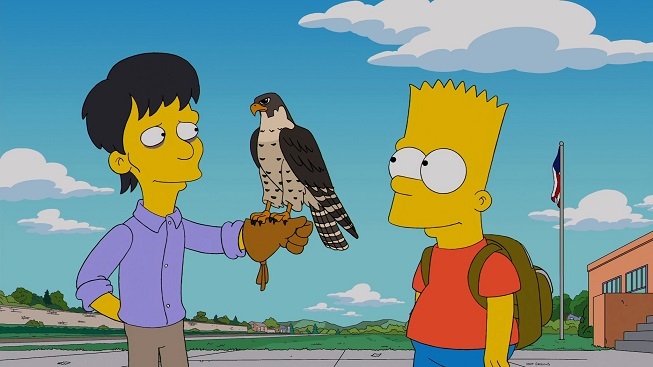 Bart is rescued from a confrontation with Springfield Elementary’s bullies by Diggs (Daniel Radcliffe), a recent transfer student and aspiring champion in the niche sport of falconry. 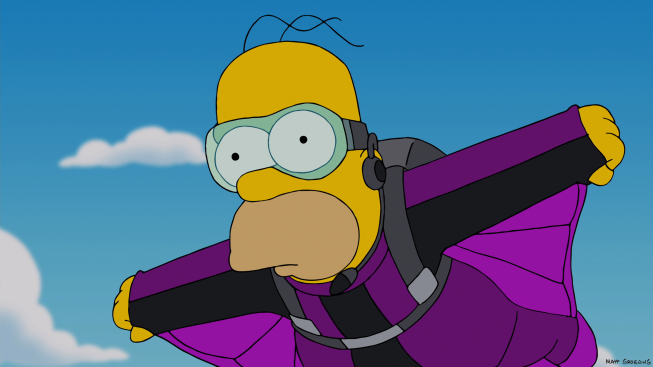 But Bart soon discovers that Diggs harbors aspirations on a far more grand scale than wrangling falcons: he actually wants to take to the sky himself. Guest starring: Daniel Radcliffe as Diggs. Marge invites Grampa and two other octogenarians to live at the Simpsons' house after the Retirement Castle is closed for health violations, but she quickly becomes frustrated with Homer when he starts embracing the "old person lifestyle." Meanwhile, at Springfield Elementary, Bart defends Nelson's affinity for hand-me-down underwear, leading Nelson to befriend Bart. The Van Houtens are shocked when an old flame of Kirk's makes a claim on a painting they accidentally sold in a yard sale, Homer must choose between his friendship with Kirk Van Houten and a valuable painting he bought at the Van Houten's yard sale. 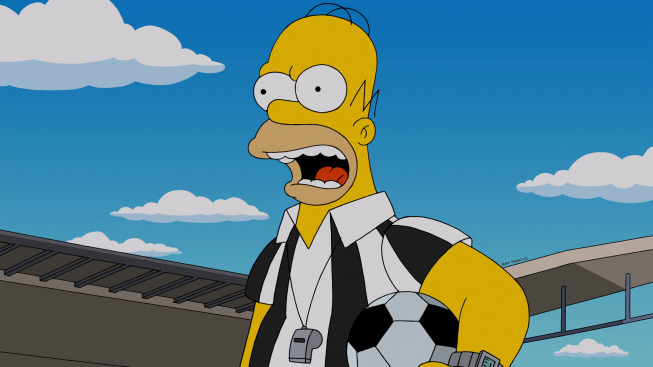 Homer gets recruited as a FIFA World Cup referee and Lisa praises his integrity in a speech. The Simpson family goes to Brazil where Homer's honesty gets put to the test by one of the slickest South American gangsters in the soccer match-bribing business. Bart helps Snake escape from the cops and starts to get gifts. 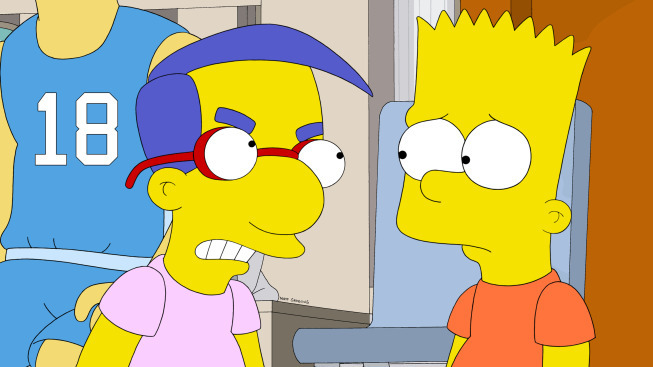 Milhouse gets mad at Bart over him helping Snake. 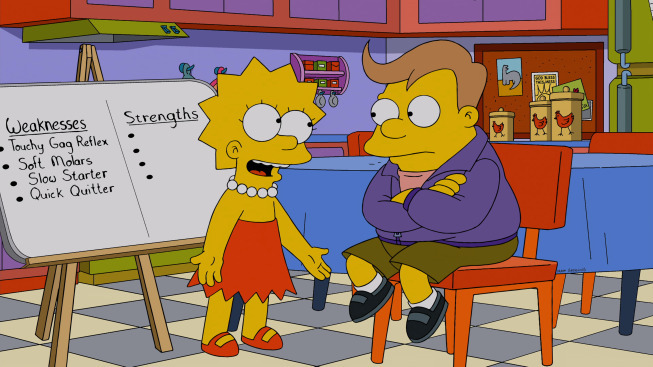 Meanwhile, Lisa befriends Lucas, a new chubby little boy (played by Zach Galifianakis) who wants to be a competitive eater. Suddenly Marge is worried that Lisa is trying to marry a boy that’s just like Homer, and then Homer is offended that Marge is worried about that. 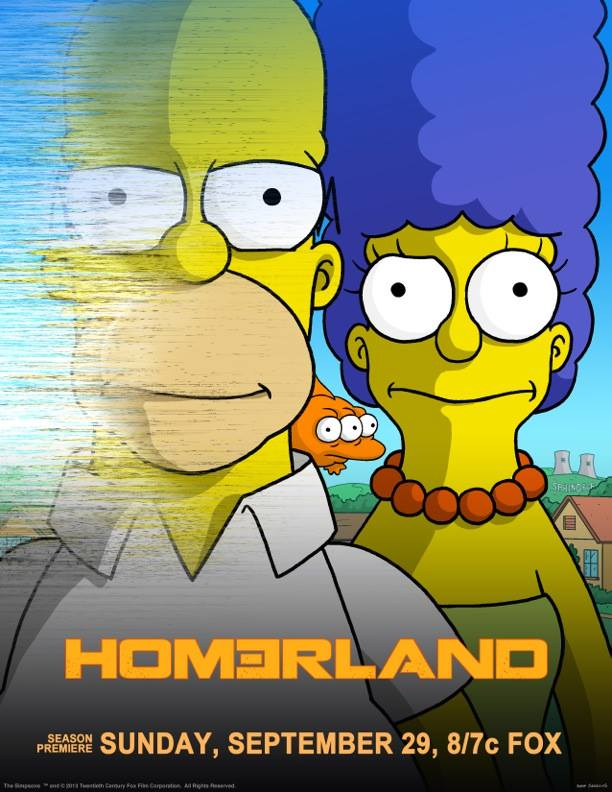 Set in the future, Homer has a new clone for every time he dies. 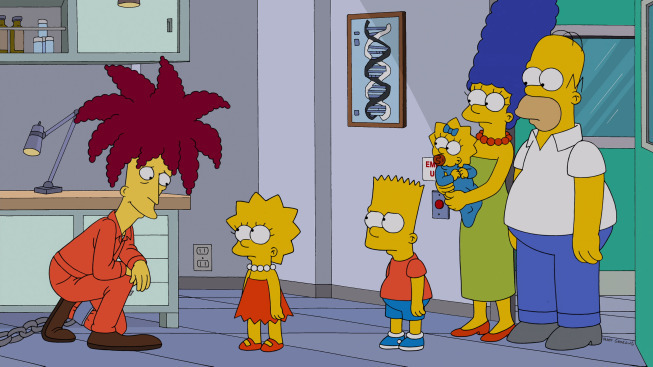 Lisa is married to a zombie version of Milhouse, while Bart deals with custody issues with his ex-wife, Jenda. Each defines what love means to them. Jenda is dating a crab-like alien creature and … she’s still not getting along with Bart. 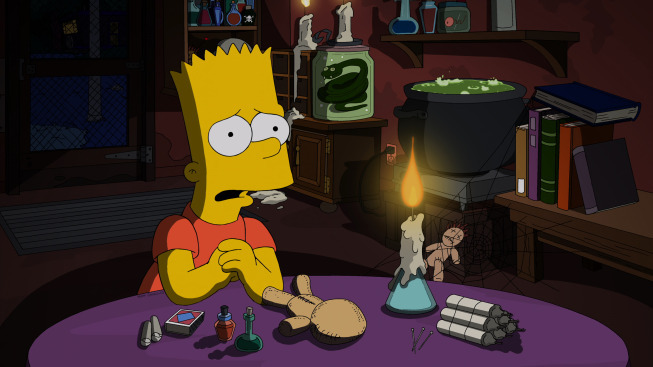 Bart is trying to get over his divorce and he does it in a bit of a Total Recall-type way. 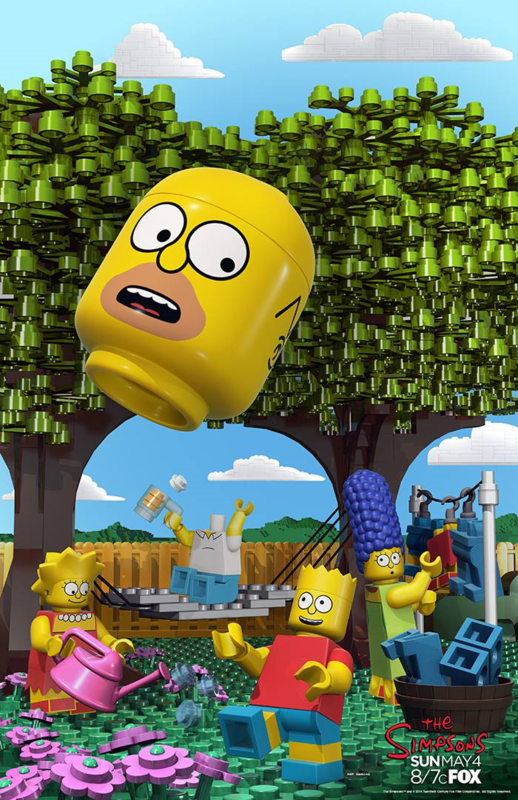 Homer wakes up in a world where his family and everyone in Springfield are made of Legos and must "put together" how he got there to get home. 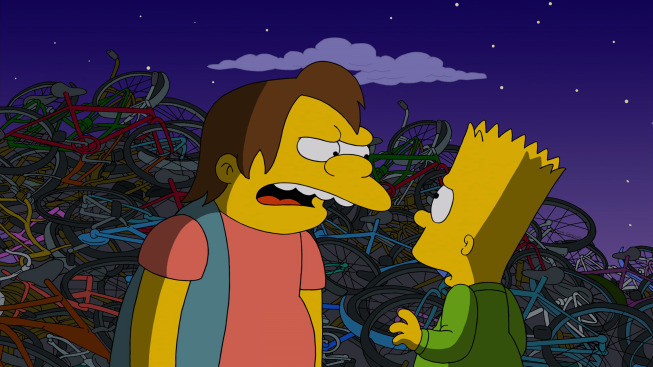 Bart is plagued with guilt when he wins the annual “last day of school” race around Springfield Elementary, with an assist from Nelson, who beats up frontrunner Milhouse. Meanwhile, Homer tries to bring back the annual 4th of July fireworks display after it’s canceled for budget reasons. Glenn Close returns as Mona Simpson and Olympian Edwin Moses guest-voices as himself. Don Payne, who passed away on March 25, 2013, will have two episodes that will air posthumously in the 25th season, "White Christmas Blues" and "Labor Pains"
Anderson Cooper recorded his line at May 13, 2013. John Oliver as Wilkes John Booth, a previously unseen neighbor of the Simpson family who Marge has never met. 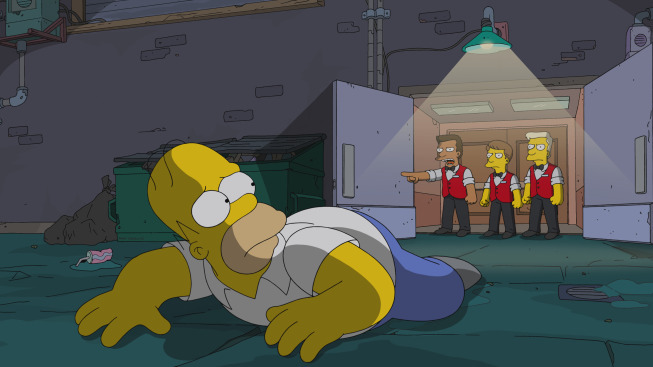 ↑ 8.0 8.1 The Funton Critic - "Twentieth Century Fox Consumer Products to Celebrate "The Simpsons" and Soccer with Launch of Global Campaign in 2014"
↑ Joe Mantegna's Facebook post - "Off to record another Fat Tony episode for The Simpsons. " I don't get mad, I get Stabby" F.T." 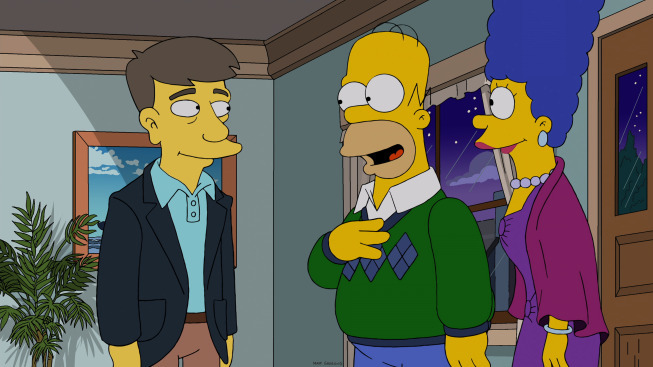 ↑ AV Club - "Exclusive: Nick Offerman is going to be on The Simpsons. Non-exclusive: Nick Offerman loves Sam Elliott." Modified on June 6, 2018, at 07:28.